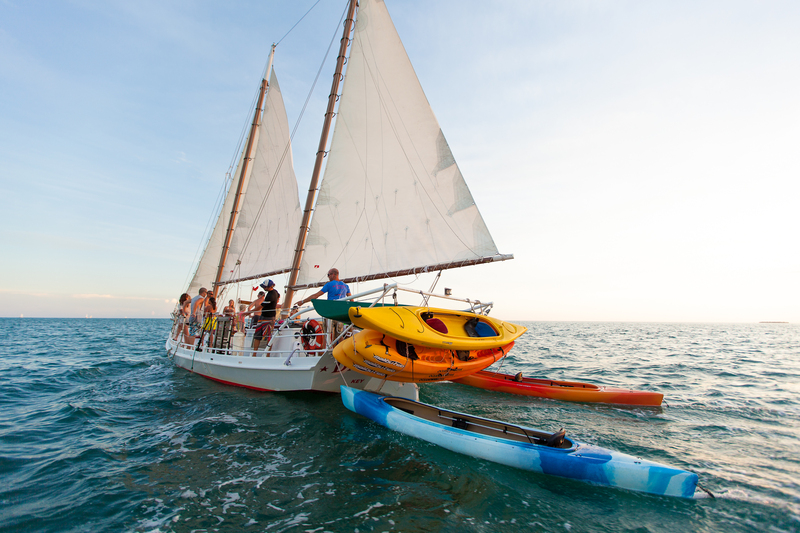 Experience nature at its purest as you set sail, snorkel, and kayaking Key West around the turquoise waters. Feel the wonderful beauty of nature when you book our Snail, Snorkel, and Kayaking Key West with Sunset Option tour. 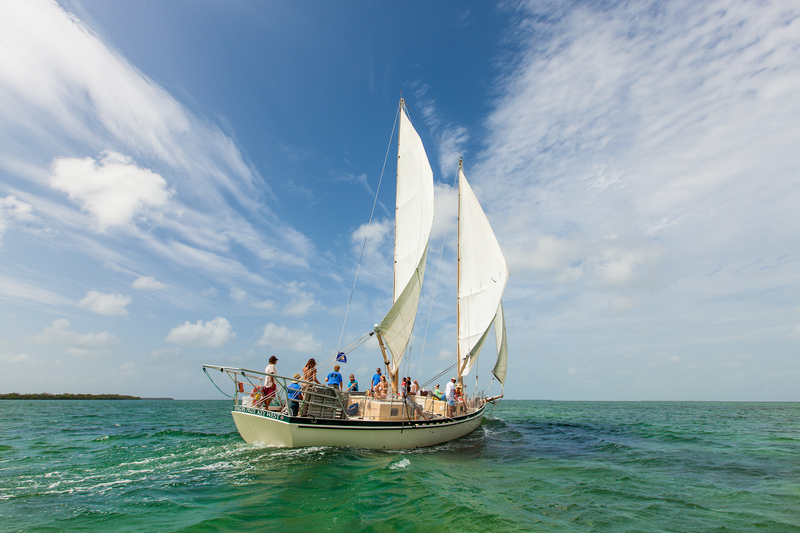 This 4 ½ hour tour lets you experience three unique water activities that will allow you to appreciate the natural treasures of Key West. Your tour commences once you set foot on our 65ft classic schooner. 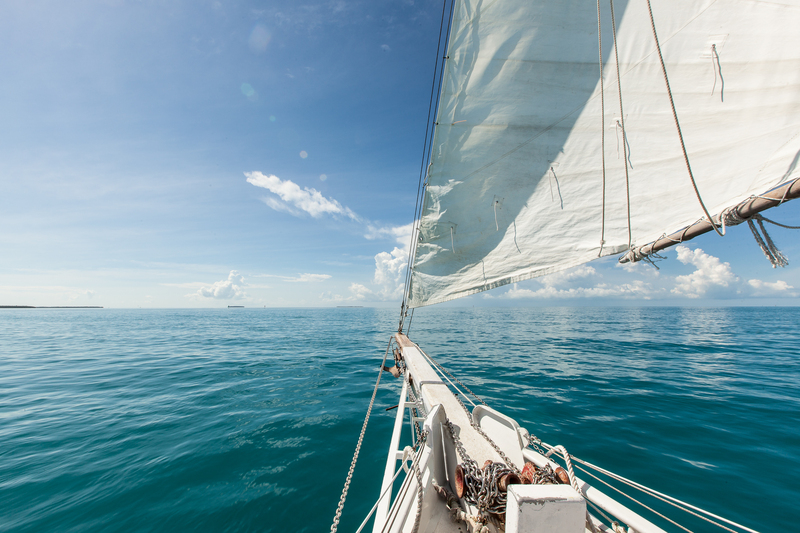 This well-maintained sailboat is handled by our seasoned captain with the assistance of qualified crew members. You can volunteer to raise the sails of the boat or just observe the crew members operate this magnificent vessel. Either way you will definitely learn how a schooner operates. Our trained captain will sail the boat through the Key West National Wildlife Refuge, which is a sanctuary where rare tropical birds breed. Bring a pair of binoculars and you can see these birds up close. 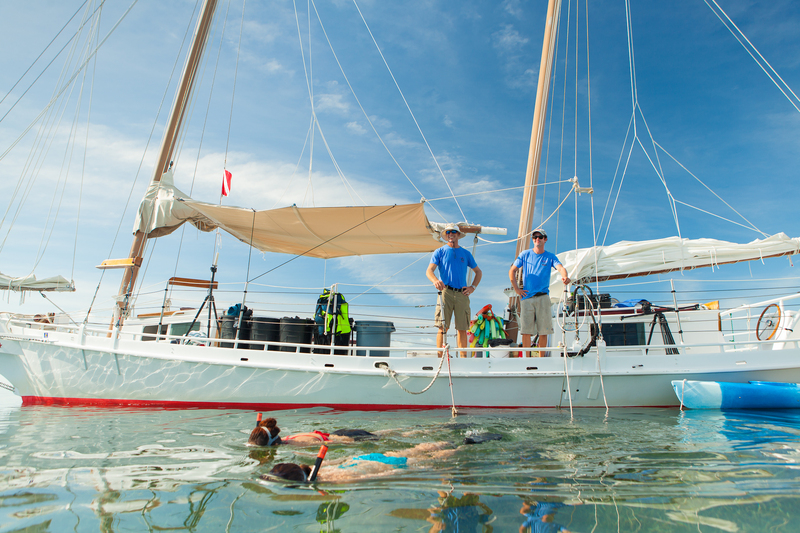 Once the captain anchors the sailboat, our trained crew members will instruct you in how to use our top-of-the-line snorkeling gear. Once you are ready, our resident snorkeling guide will lead you to the best snorkeling spots around the area. Prepare to see parrotfish, eels, rays, sea turtles, and a variety of corals under the pristine waters. You can bring an underwater camera to capture a few shots. If you are lucky, our guide can lead you to one of the wrecks that has become home to hundreds of tropical fish. You do not have to be an experienced swimmer to enjoy snorkeling. Our guide will make you feel safe and comfortable underwater. You can even ask for a one-on-one helper if you really don’t feel that confident with your swimming skills. However, Key West is ideal for novice snorkelers because the water is very shallow and very calm. 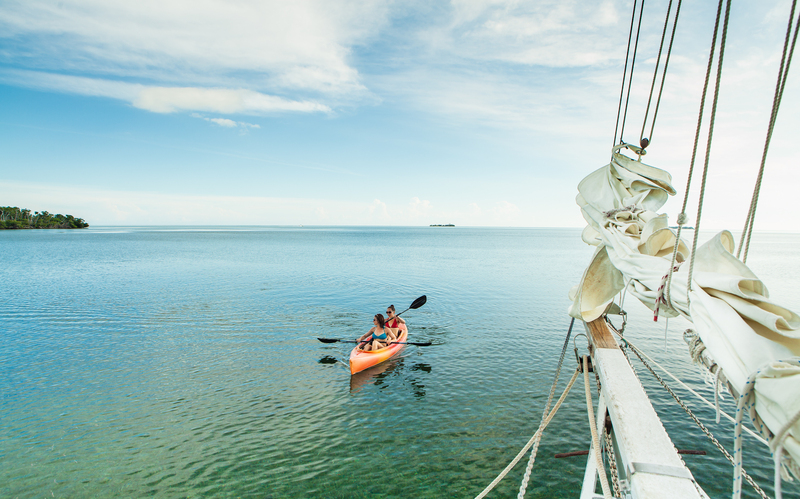 After feasting your eyes with the colorful marine life around the island, you will now paddle through the narrow canals created by the orchards of mangrove in the Florida Keys backcountry. You can paddle solo or tandem with your spouse or child. Our kayaks are so stable that even a child or a grandparent can safely handle them. Your guide will direct you to a whole new world within these trees. Here you can see rare tropical birds like mockingbirds, egrets, pelicans, kingfishers, cuckoos, and many others. Since the waters here are crystal clear, you can also see numerous schools of fish that dwell by the mangroves. This tour runs twice every day in the mid-morning or mid-afternoon. If you want to book in the afternoon, you can extend your adventure by taking the sunset cruise option. This is a perfect way to finish a fun-filled afternoon. Imagine relaxing onboard with your friends, sipping beer or wine while watching one of the best views of the sunset in North America. 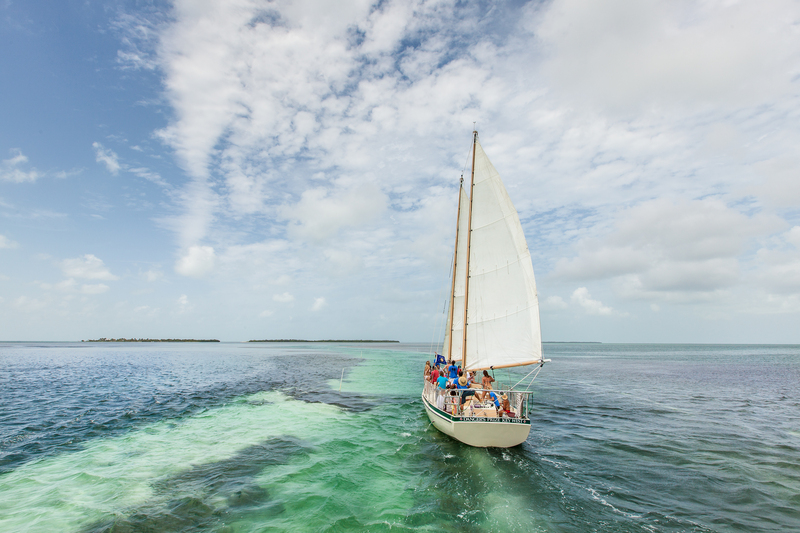 Come down to Florida Keys and book our Sail, Snorkel, and Kayak with Sunset Option tour and you are guaranteed to feel rejuvenated and inspired by your time in the natural marine wilderness.